*League* Alessa Lelutka Appliers, worn above on the Lelutka Greer Head, include 2 slightly different fits, A and B, to be compatible with more Lelutka heads. The hud comes with 5 brow options on the base skin and this time all other options are on upper layers so they can be used with other skin bases too! There are 5 eyeshadows and 5 eyeliners that can be combined if desired using the rerouting option on your Lelutka Hud, 5 lipglosses which can be softened with the Lelutka Hud for more or less gloss and a combination of Freckle and Mole Options! 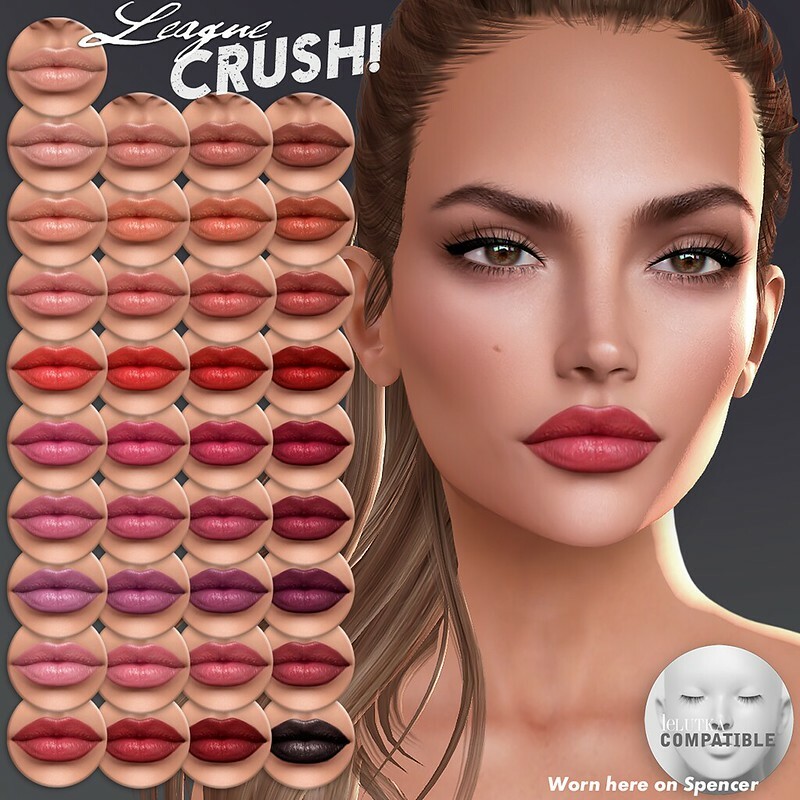 *League* Amaia Classic Brows below were made in response to requests for more brow options for Amaia, theyre worn here on Lelutka Simone and will look different on different Lelutka heads so as always try the Demo! Tp to League @ the Skin Fair! After which they will be moved to the Mainstore: Tp to League Mainstore!